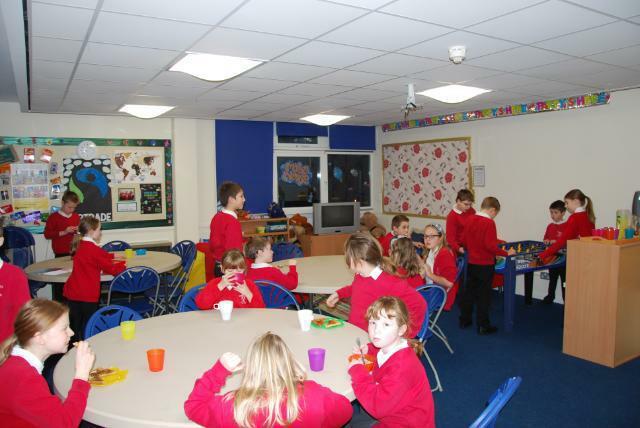 Brackley C of E Junior School are pleased to announce that they offer wrap around care for the whole day. For those of you who like an early start to the day we will continue to offer ‘Breakfast Club’. This is open Monday to Friday from 7.40am. This safe, happy environment provides an opportunity for new friendships to be made outside of their usual group of friends, games and activities are available once breakfast is finished until they go out on to the playground for a quick run around ready to start the school day, where they are picked up by their class teacher. As well as this, the children are provided with a range of breakfast options comprising of a selection of healthy cereal, toast with a good variety of toppings, and either milk, water or low sugar squash. All of this at a bargain price of £3.50. This is a very popular provision so booking is essential. We are delighted to now be able to offer an After School Club, which runs until 6.10pm each school day Monday - Thursday and until 4.40pm Friday (with options to choose one of two pick-up times 4.40pm or 6.10pm). As with Breakfast Club, the after school provision is run by existing members of staff who know the children, namely Mrs Bloomfield, Mrs Edwards and Miss Buckingham. During their time in the After School Provision the children will have the opportunity to engage in a wide range of activities both in and outside. As well as this they will be offered a snack of a sandwich or cheese and crackers, fruit, plain biscuit etc, with a drink. Please note this is not intended to supplement their evening meal. The cost per session is £9 (until 6.10pm) and £5 (until 4.40pm). A charge is made to cover costs, please note that it is not intended that the school makes financial profit from this provision. The provision it is intended to be self-financing, and any profit made will be re-invested in resources, provisions or activities for the After School and Breakfast Provision. All sessions will need to be paid for in advance with registration forms completed. Places will still be charged for if your child has been booked a place and does not attend. Please note that children must be collected promptly at the end of your child's booked session e.g. either 4.40pm or 6.10pm, early collection will not be possible. The maximum number of places per day is 20 for both provisions. Please note: the contact number for our extended services is: 07751 391659.